Oysters update the eastern seaboard classic clams Casino. Sweet watermelon tempers the fiery heat of the habanero and poblano chiles in this beautiful soup. Long, thin slices of zucchini act like noodles in this ultra-summery dish. For the lemongrass sauce here, chef José Manuel Miguel softens the chopped inner bulb in butter with shallots and garlic, then moistens the mixture with wine, reducing it completely before simmering with fish stock (or a mix of clam broth and water) and finishing with a little cream. 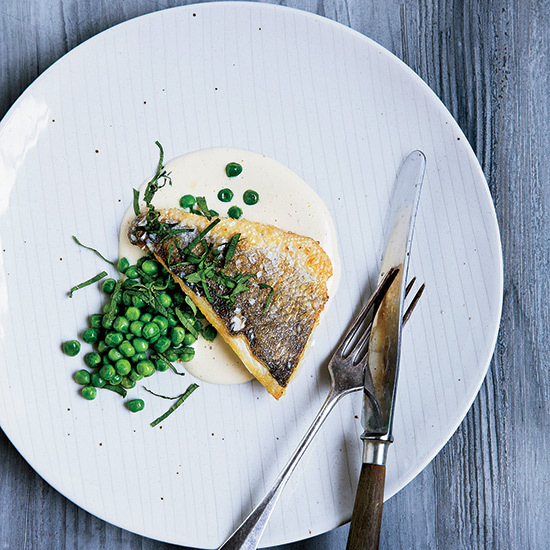 The result: a light, elegant restaurant dish that's so easy to make. Basting chicken with a bundle of rosemary and thyme sprigs adds wonderful flavor while keeping the meat juicy. In this recipe, luscious rib-eye steaks are flavored with a punchy balsamic glaze and served alongside a bright-tasting bean salad. This recipe is also great with boneless chicken breast. This incredibly chocolaty and creamy quick-bake pie is a grown-up version of a Reese’s Peanut Butter Cup. Creamy, tangy cheesecake custard, crunchy cornmeal shortbread and fresh blueberry compote make a heavenly combination in this dessert. Get cozy around the fire pit with this updated campfire classic.